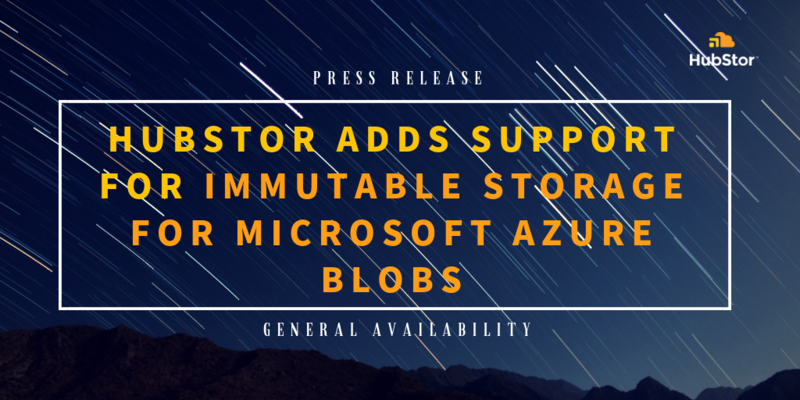 September 18, 2018 -- Kanata, ON -- HubStor today announced that its software is compatible with Immutable Storage for Microsoft Azure Blobs, a new data protection and compliance feature available in Azure that satisfies write-once-read-many (WORM) requirements of organizations regulated by SEC, CFTC, FINRA, Mifid II, and others. Immutable storage for Azure Blobs uniquely provides these protections across all tiers of blob storage: hot, cool, and archive. HubStor delivers immutable storage within its cloud data management service. By integrating with the Immutable Storage for Azure Blobs, HubStor customers benefit from extra assurance of the more secure state because immutability is enforced by the cloud technology stack. Organizations in financial services, healthcare, life sciences and medical industries use HubStor to archive, manage, and protect critical data. Broker-dealers under SEC/FINRA compliance will typically leverage HubStor for long-term retention for email communications, database backups, books and records, marketing data, and electronic messages. Healthcare providers and research-based organizations use HubStor for HIPAA and FDA data retention compliance of their medical images, genomics studies, clinical-trial related data, and patient health information. Tamper-proof requirements for sensitive data types such as these can be met using cloud technologies that offer agility to the business. HubStor is an innovator in software-based cloud storage solutions. HubStor helps enterprises to store, protect, and manage unstructured data workloads in the cloud for compliance, data protection, and storage transformation at any scale. 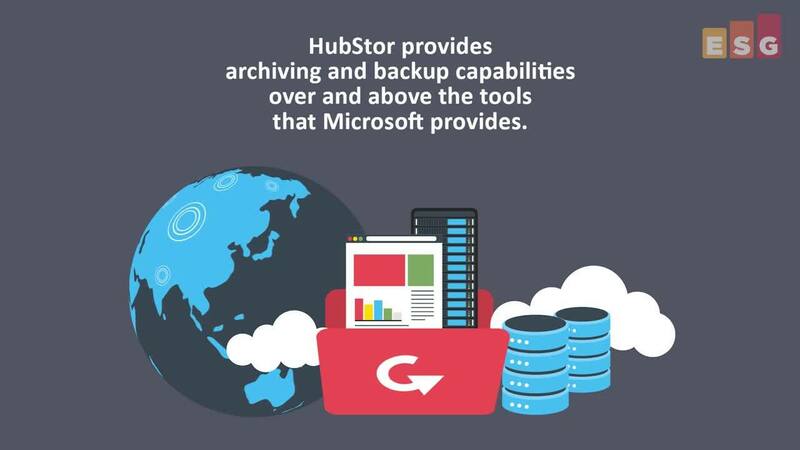 HubStor is a Gold Microsoft Partner and a member of the Microsoft Enterprise Cloud Alliance. Learn more at https://www.hubstor.net/.